Condux QuickTents are portable, freestanding work tents featuring fiberglass frames and urethane coated nylon covers to withstand all weather conditions. Innovative work tent designs allow for single person set up and tear down, folding down to fit into a small, lightweight carrying bag sewn into the work tent. 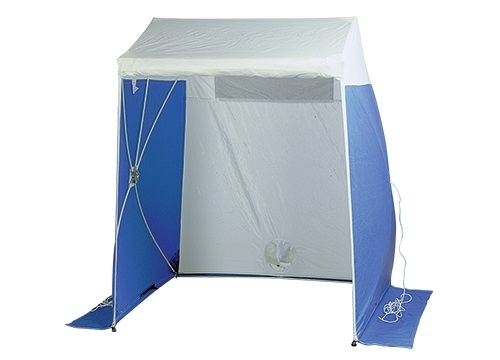 All 5 sizes includes a window or vent with closing flap, an exhaust port, and Velcro or zipper enclosures.